Reminisce Residential and Stonecrest Homes have partnered to develop one of the most coveted parcels in downtown Roswell. Located just one block south of Canton Street on Mimosa Boulevard, this incredibly exclusive community will offer four luxury townhomes and three custom built single family homes in what will be the first new construction on Mimosa in 75 years. The three single family homes that face Mimosa Boulevard (one has already been sold) were custom built by Reminisce Residential and reflect the timeless appeal of the historic homes in the area. The four luxury townhomes built by Stonecrest Homes feature a more modern and traditional styling that still blends seamlessly into the surrounding neighborhood. While both the townhomes and single family homes are equipped with luxury appliance packages and high detail trim packages, there is no doubt that the most desirable aspect of these homes is their location. Sitting just two blocks from downtown Historic Roswell, owners will be able to casually walk to what has become one of North Atlanta’s most vibrant social centers loaded with restaurants, art galleries and community events. 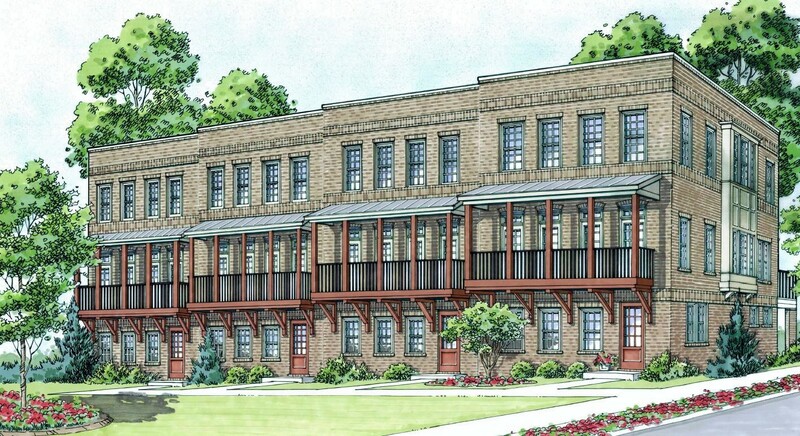 These will be some of the most exclusive homes in the area as Roswell’s Preservation Committee is committed to curbing construction in the Historic District. Surrounded by historical homes and churches, it’s likely this may be the last new construction on Mimosa for another 75 years. Pricing starts in the high 700s and availability is extremely limited. Additional information on the community can be found here: Mimosa townhomes and Mimosa single family homes. Richly endowed with executive homes, charm, green spaces, businesses, stores and entertainment, Roswell is a beloved North Fulton community with a historic downtown area boasting over 20 restaurants alone. The downtown area is lined with buildings from the 1800s, as well as plantation homes, which are still used as wedding and event venues. The schools serving Roswell include Sweet Apple Elementary School, Elkins Pointe Middle School and Roswell High School, as well as a number of sought-after private schools. Major regional medical centers include WellStar North Fulton Hospital.